I figured if you gave this a little time it would work itself out. That's why I told you to take chill pill and relax. Good luck and keep us posted on your adventures. Thanks DoubleCutter, it’s been hard for me to chill because, despite this teaming power play, I really like the company, the people, and want to drive for them. I know the grass isn’t greener on the other side. One thing I learned in the Navy is that if you choose to disobey an order you better be damn sure you’re right. If you’re wrong you’ll get reamed, and if you’re right cooler heads will prevail. Cooler heads prevailed here and kudos to Schneider. Now I’m waiting to hear from my ride to Phoenix. Thanks again. Called Schneider and manager said he found a truck for me in Phoenix. The only problem is that there’s lots of a driver’s personal stuff in there. He said I might have to drive to French Camp to get the truck cleaned out. He asked me if that was a problem and I just said that the main thing is a truck and removing personal belongings doesn’t seem like a problem to me. He said he’s going to find me a ride to Phoenix on a truck. I told him I was packed and ready to go. Just something I’m curious about. In a large company like Schneider who has the power to fire somebody, and how does the process work. I mean if you happened to tick off a DBL or something could he fire you? Wouldn’t a firing have to go through some chain of command or process before it could happen? Thanks. Ernie, I noticed there’s a lot of college grads in trucking. BTW, thanks for the well wishes. Here’s an idea I’ve been tossing around. I wonder if I could lease a truck with Schneider right from the beginning? I know you guys aren’t too fond of leasing but Schneider is supposed to have a good leasing program (from all my research). I was thinking about running this by my manager at French Camp just to let him know how serious I am about beginning my solo driving career. Don’t beat me up on this it’s just a thought :-). Thanks. I talked to my TE (training engineer) about this and he said he thinks that Schneider is trying to transition into mostly team drivers. Yeah, that's definitely not the case. Although they may be considering putting new drivers together for a short time as a team after training to "augment" the training you could say. Schneider has the shortest training period in the industry that I know of. It wouldn't surprise me if they decided to have new drivers team up for a bit after their time on the road with a mentor. But that has nothing to do with you because they haven't made that decision. I'm just speculating. So at this point I totally agree with DoubleCutter - just relax and let it work itself out. If you don't get anywhere with it on Monday call someone a little higher up the ladder and see if they can get you rolling. This situation is indeed very common. I've seen it at every large trucking company I've worked for and I've been on both sides of it. I've been issued a truck ahead of others who have been waiting and I've had to wait while others bypassed me. You haven't burned any bridges or made any enemies. Just keep a positive attitude, speak professionally with everyone you deal with and this will get worked out very shortly. Thanks Brett, I just relayed a theory my TE had regarding teams. He also said that he thought the day cab drivers could take up a lot of the work performed by the solo guys. I don’t know enough about Schneider’s operations to even propose such a thing. I never believed they were phasing out solo drivers. Of course I will continue to deal with Schneider in a professional courteous manner as always. Just because I may speculate and vent here it doesn’t mean that I’m going to say those things to Schneider. Thanks again. Ya know Jeff, I think you are starting to get paranoid about all of this. "Someone in the company has it in for me", or " a guy that was pampered all through orientation". If you start all of these accusations with this guy you are dealing with, he is going to think he's dealing with a physco with a persecution complex. This would hurt your case instead of helping it. And don't tell them about a bad back, that would be a surefire way for them to send you back to their doctor and pry into the reasons why you have a bad back. I can understand your anxiety about this situation, but you need to take a chill pill and jst wait to see how this plays out. It very well could be a temporary shortage of trucks. Plus it is the holidays, so things don't get done as quickly as usual. Don't let this naw at you to where it ears you up. With all due respect I think the “psycho” thing is exaggerated, but perhaps a tinge of paranoia has crept in. I would never stray from the facts in talking with Schneider, but I did share a couple of possible theories that may or may not be true. I have learned through quite a few years living on earth that anything is possible and to expect the worst and hope for the best, but your point is well taken and I agree. Jeff, I've read this entire thread through twice now and it just seems so bizarre to me that I don't really understand it. I've never heard anything like this before when it comes to Schneider. This is a huge company and there's just no way they are going to all teams. They've got to have solo drivers, it only makes sense from a practical perspective concerning logistics. I'm sorry this happened to you, but I'm going to say it again, it doesn't make any sense. I certainly don't blame you for not wanting to team, but I can't for the life of me understand why they don't just give you a straight story and either find you a truck or tell you that you need to move on. Exactly, it doesn’t make sense. That’s what I’ve been saying. The only thing I can think of, as Tracy mentioned, is politics. Or maybe someone I met at the company has it in for me. There is no logical explanation that I can see either. This is why I’m so troubled about this. Hopefully next week will offer some clarity. Thanks. And one more thought, hoping I’m not beating this to death or wearing out my welcome, but it seems to me that teaming is a very personal decision that a driver has to decide on his own. There are so many factors involved with teaming that it’s not a one size fits all thing that's suited for all drivers, and it certainly isn’t something a company should order a driver to do without a driver’s approval. In my case there is no way my back could survive trying to sleep in a moving truck, but no one asked me if I would consider teaming, or if I was the type who be suited or able to team, just that I WOULD BE TEAMING, even though it went against the agreement I had with with Schneider. It was a direct order, a take it or leave it order. Aside from a dicey back, my feeling is that the only way that teaming could work out for me would be if I was part of a husband and wife team, and even then my back would preclude it. No one at Schneider asked me if teaming was something I would want to do or could do, just that I would be teaming. Period. Just to add Tracy, when I called the manager back last week offering to finance my own transportation to another OC to pick up a truck he said to me “don’t worry about this, we’ll get you figured out”. So instead of him saying don’t worry, we’ll find you a truck so you can solo as was our agreement, it was “we’ll get you figured out”. What the hell did that mean, “figured out”? Figured out the door? He mentioned nothing about Schneider honoring their agreement with me or finding me a truck, just that they would “figure me out”. If this continues for another two weeks I would strongly suggest that you start looking for someone else to work for. I know you like them, but if they are going to lead you on in this manner then this is not the place you need to be. I don't care that they may be thinking of running teams only. You DO NOT advertise for a job and then change the job. That is wrong! I myself, would call them tomorrow and ask if I need to be looking for another job? If they say yes, then at least you are free to go on to the next chapter. You can then apply at another company, explaining why you are leaving Schneider and believe me, another trucking company will understand. The market is too big out there. The industry needs drivers. DON'T SECOND GUESS YOUR SELF! YOU DID THE TRAINING. YOU DID ALL THAT THEY ASKED. IT IS TIME NOW FOR THEM TO DELIVER, SO YOU CAN TOO! If you were to make the decision to move to another company, make sure you get it in writing that you were advised to look else where. That way it can't be said you made that decision without talking to the powers that be first. Always cover you backside when dealing with things of this nature. As we used to say in the Navy CYA (Cover Your A$$). Absolutely sir, will do. After putting so much time and energy into Schneider this will be a last resort meaning that they tell me to move on instead of correcting their mistake. Thanks. Tracy, thank you so much for taking the time to decipher my mess of a situation. Your analysis is so spot on it’s eery, and it’s so encouraging for me to know that someone understands and sees that I’ve acted with nothing but integrity in my dealings with Schneider. Yes, they are wrong, and yes, they know they’re wrong. I was speaking to a classmate today and he told me that other solo classmates of mine have already been issued trucks. In fact one guy, who was pampered all through orientation, has been issued a nearly new black Cascadia for his solo driving position out of Fontana. So much for the “equipment shortage”. And yes, I plan on following your advice by calling my OC first thing Monday morning. If I don’t get satisfaction there I’m calling higher ups at Fontana. I knew I had to stand up for myself because I was being railroaded, lied to, into a position that I never wanted, but I did start doubting myself after and you set me straight, as well as a classmate I spoke to today, and it has given me the strength to stick by my guns. I’m a very reasonable stand up guy if I may say so, and I’m not the type to complain unless something is so blatantly wrong I would be a fool not to. This, to me, is one of those situations. Thank you again so much! I will keep you posted. I’ve been thinking about my situation and I think I’m screwed. I probably should have just went along with what the manager wanted me to do even though what Schneider promised me was different. I should be thinking about gaining experience and suffering the slings and arrows silently. I know that teaming would be a disaster for me but that’s what they wanted me to do, and I suppose I should have just bit my lip and went along with it with an eye on the future. The ideal Schneider driver is just someone who does what he's told and that’s it. The other drivers who I was supposed to hop in the rental car with in Vegas and drive to French Camp OC were never told they would have to team up until after orientation either, but they just went and probably never complained about it. So if a truck ever becomes available who will they give it to. Likely not me. I believed that my being willing to wait for a truck instead of teaming was a reasonable thing for me to put forth, especially since the only reason they gave me for teaming was so that I could start earning money right away. It also seemed reasonable for me to wait for a truck instead being miserable teaming for money I don't really need at the moment. I’m feeling pretty bleak about the whole situation, disappointed, and wondering what my next move should be aside from calling them back. I really wanted to drive for Schneider but never expected to get blindsided by this team driving thing. On the positive side I did learn a heck of a lot at Schneider’s orientation/ on the road training and I’m a pretty competent driver ready to go out on my own. I’m confident in my abilities to drive solo at this point. If I am correct about my having made a major mistake in Schneider’s eyes then it looks like I’ll have to find another company and go through another orientation. It’s a shame because I went through so much with Schneider to reach this point. And again, I really wanted to drive for this company, but I don’t want to team for any company, ever. It’s keeping me logged in. Thanks. Just to add, I log in with Safari (in case that information might be important to you). Your TE is correct call your dbl everyday. They have 50 to 80 trucks to deal with every hour of everyday.thats 50 to 160 drivers a day depending on teams on his fleet. If you don't call you can quickly be pushed to the back burner. The fellow I’ve been dealing with is in charge of all the DBLs but I didn’t know his official job title. My TE told me that a DBL is like a dispatcher and the guy I’ve been talking to doesn’t do dispatching. I just called him a DBL because I didn’t know his official title, but I see your point. He’s more of an administrative type I would say and he doesn’t deal with lots of drivers and teams like a dispatcher would. I’ll definitely call him Monday though. To call today after speaking to him yesterday seems too desperate to me. Thanks. Just an update, I spoke to my DBL yesterday and told him that I wasn’t strapped for cash and I didn’t mind waiting for a truck. He didn’t seem happy about that at all which seems strange considering that his reason for wanting me to team was so I could earn some money right away. The fact that I seemed to have solved his problem by being able to wait should have been welcome news, but oddly it wasn’t. I mentioned that his reason for teaming me was so I could earn money right away and then he said “well, I don’t want you to forget everything you learned”. I assured him that I wouldn’t forget. He said he was going to talk to the other drivers about teaming and we hung up. I called back about 15 minutes later and told him that I would be willing to travel to another OC at my expense to pick up a truck. He said it wasn’t a question of operating centers because he gets his equipment from other OCs. His attitude was a little friendlier and he said “don’t worry about this, we’ll figure you out”. So that’s where I stand at the moment, and I haven’t heard anything today. I talked to my TE (training engineer) about this and he said he thinks that Schneider is trying to transition into mostly team drivers. If I knew that I never would have applied at Schneider if teaming was my only option. Then he said that one of the DBLs just quit and possibly it’s easier to dispatch two drivers than a solo driver. My DBL never told me any of this stuff just that teaming would give me a chance to earn money right away. I think about this and all I’m asking from Schneider is that they supply me with a truck, that’s it! The job I applied for was "western regional solo driver" and that was the job Schneider promised me upon completion of orientation. I did my part of the deal but Schneider changes the agreement at the end. I know how these things work. Me and partner would be out there teaming and making good money for the company and then Schneider says we want to keep you guys as a team. I knew if I didn’t take a stand in the beginning I’d be stuck as a team driver. Now it probably looks as if I’m a difficult person to deal with and I might cause them further problems when all I want from Schneider is to supply me with a truck as per our agreement. Imagine that, me wanting a trucking company to supply me with a truck so I can earn money for myself and the company. My TE suggested I should call every day but I don’t see the point, and it’s not my style. My DBL knows the situation and bugging him every day for a truck is not going to get me a truck any sooner, I don’t think. I know this is a mess but any input would be appreciated. Thanks. Like I said, it is up to you really. I highly highly doubt they will "fire" you after putting you through 3-4 weeks of training and spending tens of thousands of dollars training you. I think you can look at it from a different angle as well. Your DBL understands you want to make money so he/she offered you a way to do it. I don't think he/she is testing you to see if you are lazy. You will have plenty of time to prove yourself a hard worker when you start running loads in your truck. On the issue of the truck, you will get what is available. One guy in my orientation class got an almost brand new Cascadia because that was what was available at his OC when he finished SQT. I got a 2008 Columbia, but I loved it and had no issues. So don't let that be a deciding factor, it is a non-issue I think. Thanks Dave. It makes sense. Yeah, you're definitely over-thinking it. Trucking companies don't sit around thinking about things like, "Well this guy is in this region, and that guy wouldn't team, and this guy wears funny shirts", etc, etc when they're handing out equipment. 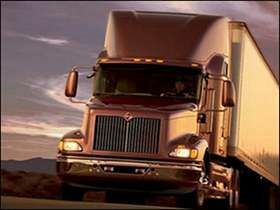 A truck becomes available and the person assigning equipment gives it to the next person on the priority list. If they said they were just giving you the opportunity to drive instead of waiting, but you don't mind waiting, then wait. They'll have a truck available soon. Believe me, a ton of drivers quit each year at Christmas time. The company will come up with a truck soon enough. It sounds like it's your call though. I honestly doubt they care either way. Thanks for clearing that up Brett. I was driving myself crazy overanalyzing. The DBL said that it would be an opportunity for me to start earning some money right away instead of waiting. I should have just accepted that at face value. Thank you. Jeff, I'd just go with the flow,and team for a bit. It will get you out with someone you know a bit, and the company will see that you are flexable and agreeable when needed. That will do you alot of good in the long run. But be sure and tattoo on thier eyeballs that you do not want to team...and i'd give them a reasonable time frame...like 2-3 weeks. You can do that easily, and its a reasonable time frame for them...Good Luck !! Thank you Miss :-). BTW, nice legs you got there :-). This was my original thinking for going with the team: so I could get on their good side and start off on the right foot, but then later I was thinking that maybe they would have preferred if I said I’d wait then they could turn around and give the truck to my friend. He’s 48 states and I’m western regional, plus he’s way younger than me. I’ve always understood that 48 state drivers are more valued than regional. There are a lot of possible angles here and I wanted to be a truck driver so I could work alone and avoid office politics. It seems I could be right in the middle of it now though. Maybe I just overthink things. Thanks. Another thought I had is that if I try to push the waiting angle I might get stuck with a worse truck over the drivers who were willing to team. This is what I mean by “office politics”.